County-City Chasms (or The Gaps Between In and Of). Of course it is possible to be raised in Baltimore, black and lower-middle class, black and occasionally beset by situational poverty, and to never know the agony of losing the people we love to guns or to drugs. I imagine it may be rare — rarer, possibly, than I’d like to admit. But I know for certain the possibility because I am its evidence. I imagine the others relatively unscathed are like me: County-dwellers, suburbanites — or else quite unlike me: affluent city mainstays whose income or inheritance have extended them insulation. For these seeming exceptions, there exists a tacit divide between those who find themselves managing grief every day and those of us who would scarcely know how, if it were suddenly required. Ease widens that divide — and how easy it can be to remain willfully ignorant of such grief in the cul de sacs, side streets, and enclaves of Randallstown, Owings Mills, or Pikesville. If one wants it to, the “harrowing” reports of Baltimore’s violence and despair that make their way to national media can feel a ten-hour drive away rather than a twenty-minute one. It does not take much turning away when no sidewalk in a six-mile radius has a makeshift teddy-bear shrine to a murdered child and no corner holds ominous congregants dapping crack or lean into the hands of fiending clients. I am a person who braces for what I consider to be “the worst,” though nothing truly awful has ever happened to me and — right alongside my petitions for the continued strength of those to whom it has — I pray, albeit idly, that nothing awful ever will. It seems a selfish supplication, though I have every reason to hope for it. I’ve a daughter yet to raise, in a world that has always been unsafe for women, in a country that has always been unkind to its black citizens. But it’s a prayer that leans hard on privilege, too; life in low-crime communities has bettered my odds. And I am no more deserving of this lot than my neighbors eight miles south are deserving of their poorer ones. I pray for personal mercies just the same, and I hope the people I love, who’ve fared far worse in this life than I, won’t think ill of me for it. It is this conflicted self I carry into the city, the self that is rarely onsite when the harassment and standoffs, protests and arrests begin, because their inciting incidents are rarely at my own back door. If I am present at all, it is to breathe lives in and to write them out. If I am there at all, it is to admire the wisdom to be found on their blocks — wisdom I do not and cannot possess, understanding as I do that the wisest residents smong them would trade some of that prudence which circumstance bestows, in exchange for a less treacherous lot. I know, at heart, there is no interpreting, no distilling, no genuine deference to their experience that I can succeed at offering from the outside. I know that even the writing is seen as a kind of charity, and that charity is more often perceived as pity than as a gift. And yet I am unsure what other alms I can offer. I find it disingenuous to march in the streets against neighborhood-specific atrocities I cannot begin to fathom. I find it empty to picket there, knowing well that I can go home and that home is a place apart, a community of picket fences. There, under the warmth of that hearth, I am no less an ally, no more a peer. 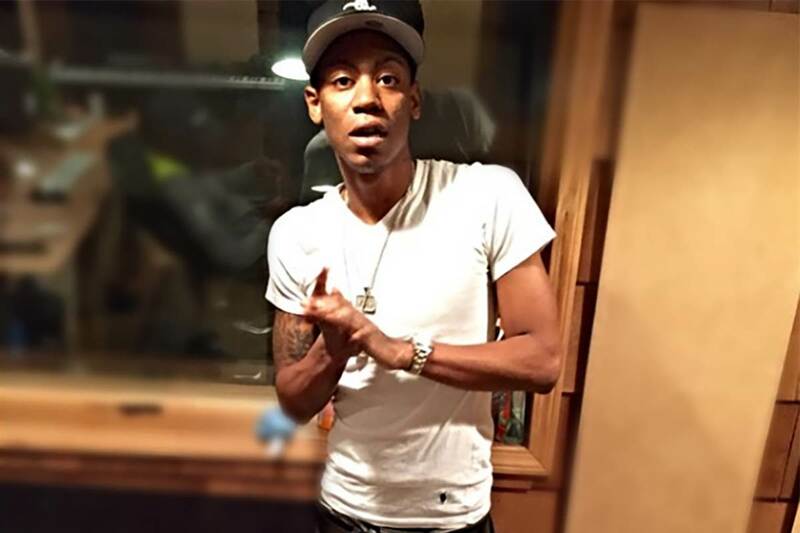 I knew nothing of Lor Scoota before he died. I doubt this is true of many young black folks who’ve lived within city limits over the past three years. Last week, as I watched the sorrow of hundreds spill into the streets to mourn him, I was reminded yet again of how surreal it can be to live in the County, mere miles from the triumph of any city resident’s sense of industry, mere miles from any day’s anguish when the hope he offered is extinguished. I was reminded of how often in Baltimore the dialect of loss that most often emerges at the intersection of resistance and grief is dance. When I am most honest with myself, I admit this is not a dialect I long to learn and were I to try, this is not a dance I could master. But even as my distance may be cause for some secret relief, I don’t not presume it enviable. In this city, where grief abounds, ingenuity swells up to meet it. Hardship may encroach for what seems an eternity but so will laughter, so will rebellion, so will romance and filial love and glee. Someone will actually recover in an overcrowded, under-resourced clinic. Some parolees will remain free upon release. Some homeowner will dote on a yard in a block that’s avoided boarding-up. Some community will always follow up a vigil disrupted by riot-gear-clad police with a truly peaceful one. Against odds, more bodies will make their way back home than those that will fall by the forces of bloodlust and bullets. That hardiness, though admirable, is not enviable, either. It is simply life being borne out as best it can be, given where it is conceived and delivered, given where it has no choice but to be raised. And if the gaps between a sense of relative safety and one of imminent peril can be narrowed by comprehension, I will ever work toward making sense of what some claim is senseless and identifying roots where some claim there is mostly rot. → For Alton. For Philando. For All. I didn’t read this article because I just came here for the article entitled I live in Baltimore on Vox. I came to strongly disagree with you. You claim we don’t need Donald Trump’s help but if you really lived in Baltimore you would know we need all the help we can get. I am not an advocate for Trump or Clinton(Im voting green). I was really angry that you basically brushed aside all of the violence, crime, and hardships faced by many of Baltimore’s, and really America’s, most vulnerable residents. Poverty levels are through the roof but more importantly in black impoverished Baltimore there is a violent criminal culture that controls whole neighborhoods. Its true there are anti-violence and community organizers here however they are serious outnumbered by the permanent and expanding criminal elements in Baltimore. Crime is no longer limited to bad neighborhoods, people are robbed and assaulted, and sometimes killed in broad daylight as crime has began to leak into wealthy areas of the city. The schools are really pathetic, infrastructure is crumbling everywhere and transportation is totally inadequate. I don’t know…. but that sounds like hell to me. Trump is right the inner cities are a disaster, look at Flint, Michigan. Now if you live in the nice Baltimore than you have money and access to the best schools, infrastructure still leaves much to be desired and transportation is still totally inadequate. Most of Baltimore lives on the bad side of town and is rarely reported on unless its someone looking to cash in on poverty Dee Watkins, Tanesi Coates comes to mind. The justice system is a joke and the most violent offenders whom have committed multiple murders can expect to be released in under 10 yrs to commit more violence. Witness intimidation and murder is routine. The no snitching tag line is really a symptom of this but politicians and critics will blame residents whom are vulnerable to this code. People don’t cooperate with police because there is a strong possibility you will be killed before you can testify or family members will be targeted-read the Dawson family. See the Dawsons really lived in Baltimore and paid the ultimate price. If any president can prevent something like this from happening I don’t care whom that person is I would vote for them. You say you live in Baltimore but was raised in the Baltimore County, you should no better than to claim you are from Baltimore City because the experiences between city and county are night and day. Baltimore City residents have been at war and fought the long fight against crime, housing, and policing, but we are losing and the murders basically tell the same story. We need help seriously. Hi Khary, thanks for sharing your thoughts here. I respect them. If you red the Vox piece, you may have missed that I said upfront that I grew up in the county. I always make that distinction when I’m writing about Baltimore (just as I did in this post that you haven’t read). I’m sorry that you think I “basically brushed off” crime and violence in the city. I don’t think I did. The point of that article wasn’t to deny that Baltimore and other cities are susceptible to addiction and violence; it was to point out that Donald Trump reduces all “inner cities” to *just* their hardships and that’s disingenuous. *That’s* “trying to cash in on poverty.” Talk about basically brushing entire communities off…. Specifically, Donald Trump (and likely any elected president) isn’t what cities need to reform neighborhood ills. Local government and community leaders/members are the first line of defense there. But again, I was writing about the dangers of reducing “inner cities” to their (considerable struggles — many of which I did mention in the Vox piece). A lot has been written/reported on violence, corruption, addiction and poverty in Baltimore. Not enough has been written about what the community is already trying to do about it — people who are invested and deeply concerned, like yourself. That was my essay’s focus. The title states I live in Baltimore. Then you stated in the VOX article “I live in Baltimore” later followed by I live in Baltimore County. That’s kinda misleading to outside folks whom don’t know the divide of Baltimore city/county especially since this is a national publication. I don’t think he reduces all inner cities to tragedies but he does equate every black person with the inner city which is obviously racist. But he speaks about the known crime ridden inner cities of Baltimore, Detroit, Chicago and Cleveland. Calling attention to these horrible failures is probably the first step in solving the problem not like the other major party candidate who has no solutions for minorities other than good words and dance moves. It is not an accident that these places have disproportionate amounts of violent crime. I know for a fact Baltimore City needs help desperately because I actually do live here and grew up in some of its most deadly neighborhoods. The places I grew up they are still bad or getting worse so obviously the community activist are not winning the battle. To be honest local government is horrible and negligent at best. I don’t see them helping to turn around the city. I don’t envision Trump doing it as well. Trump does not say how he will help these cities, which could just be politics. But what if he had an actual solution. How can you say we don’t need his help if his solutions were actually viable. I think he could help if he really means investing in infrastructure we could really use better water systems and transportation investments. Federal government can help inner cities with the right programs. But we don’t even know what he is proposing so it probably is not good to bash him. I guess you personally could say we don’t need his help but you probably shouldn’t say Baltimore doesn’t need his help because you would be speaking for everyone. It just seems since everyone bashes the guy you took an opportunity to do so for publicity. Community organizing probably saves 1 out of 10, what about the other 9 that seem to multiply every yr. That more than likely equals a loss of another neighborhood. Trump deserves to be bashed for racist comments and terrible comments about women and basically just about everyone whom isn’t white. But he is right the cities mentioned above are really purgatories for atleast half of each of those cities’ residents. I see your side of things re: the article headline (which my editors wrote, not me). I wasn’t being intentionally misleading as, again, I specified that the county consists of suburbs outside the city, very early in the article. Re: Trump and “solutions” for the “inner city,” I don’t think we disagree. He does equate all Black people with inner city residents. He does believe all inner cities have residents with — and this is a quote: “no education, no jobs” and “living in hell.” We agree there. We also agree that he hadn’t been specific at all about how he intends to help and yet keeps insisting that he’s the help the city needs. This is a a dude who’s still insisting to the press that the Central Park 5 are guilty, when their conventions were overturned over a decade ago. He believes the worse about all-non-whites. What help is he going to offer people he believes are inherently violent and criminalistic? If your argument is that inner cities are, in fact, hell and I’m incapable of arguing that they aren’t because I don’t live in the city, okay. Point taken. Thanks for the conversation. I personally don’t think someone who doesn’t acknowledge the value of Black neighborhoods or the efforts already being made by people who live in Black communities, is someone who has implementable solutions. He believes in locking people up and insisting on the death penalty even in cases where reasonable doubt exists. And he’s incredibly racist. And he’s the one seeking publicity for that. Not me. I agree he should lock people up because too many people in Baltimore walk free after committing murder and aggravated assault. Non Violent offenders should be given every opportunity to reform. But there should be no tolerance for violence unless you can prove self defense. I agree with the death penalty in cases where there is no reasonable doubt especially in cases where children are sexually assaulted. I don’t agree with the racist things he says. But local activist are not winning the war against violence. We need help to push back against this constant wave of violence that washes over the city every summer or heat spike like an angry ocean. I believe the problem won’t be solved by any government but government can assist in pushing local community solutions. I took time to read the article…you didn’t know who Lor Scoota was. I think your right that is an illustration of the disconnect you have with this city. I would think almost everyone here would know him if you really had your hand on the pulse of this city. Probably should check out the other prominent rapper Yung Moose. “Against odds, more bodies will make their way back home than those that will fall by the forces of bloodlust and bullets.” This statement while true definitely overlooks the PTSD that remains after witnessing so much violence, trust me the violence stays with you and its a struggle to suppress it everyday. Violence is always the answer when confronted in this city, the assault stats are usually buried under the murder and shooting stats but show that violence is definitely the go to play. The only way I see things changing is if we can stop the violence and that would require that the most violent offenders are locked away, even for domestic violence, so that others don’t follow in their footsteps. This should reduce the amount of violence that kids are exposed to which could give them a future. I agree with you here, also. I know that witnessing violence results in PTSD. And I know that children in violent cities experience PTSD at a disproportionately high rate. And because it’s so difficult to rehabilitate or reform those who’ve been committing violent crimes from an early age, it does make sense for them to be incarcerated. I also believe that, post-incarceration, reforms should be made for addressing things like lifelong PTSD and any other mental/emotional/psychological health issues that lead extremely violent, repeat offenders to commit those crimes.